Be the first to hear about their new releases and deals. Download the Booksprout app and search for LaQueisha Malone today! LaQueisha Malone is a two-time Award-Winning Author of poetry, Young Adult, and Adult Fiction. Living in Arkansas with her fiance and daughter, she refers to herself as a homebody, down-to-earth, 90s music loving hopeless romantic. 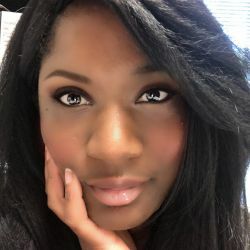 She has been featured in the Strawberry-Lit Magazine, Urban Grapevine Magazine, NuSouth Magazine, Pen'Ashe Magazine, and a guest on the Author's Corner with H.D. Campbell, The Larry Love Show with Larry Love, The BluePrint with Treasure Blue, One West Radio with Damian Sanders, and more.